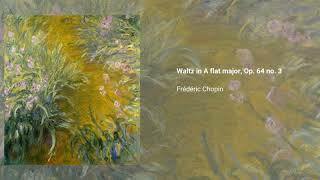 Frédéric Chopin wrote a set of three Waltzes in 1847. They were published separately, though always as part of Op. 64. 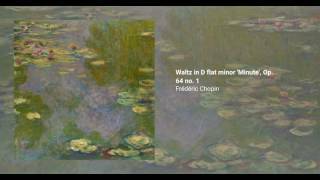 The first one, in the key of D flat minor, was dedicated to Countess Delfina Potocka, and it was unusually named by Chopin himself as valse du petit chien, meaning ''the little dog waltz''. 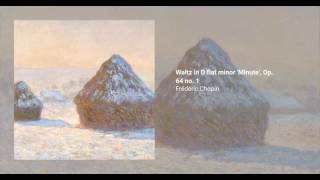 The publisher, however, printed it under the nickname Minute, which led to a widespread belief that the waltz is to be played in under one minute. 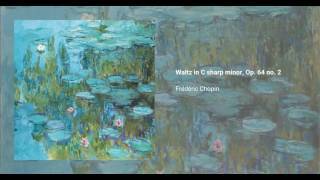 Of course this would be ridiculously fast, even considering the molto vivace tempo indication: the publisher's title used the term Minute as in Miniature: the whole piece takes clocks in around two minutes when played at a reasonable tempo. 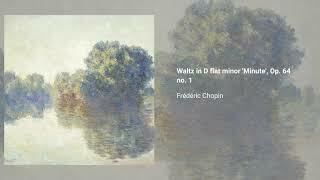 The second waltz is in they key of C sharp minor, and it was dedicated to Madame Nathaniel de Rothschild. It was later orchestrated and used in the ballet Les Sylphides. The third waltz, in A flat major, was dedicated to Countess Katarzyna Branicka (1825–1907). 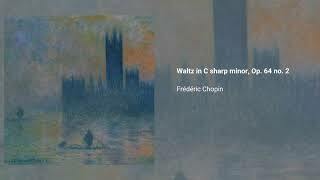 It is the last waltz that Chopin published during his lifetime.